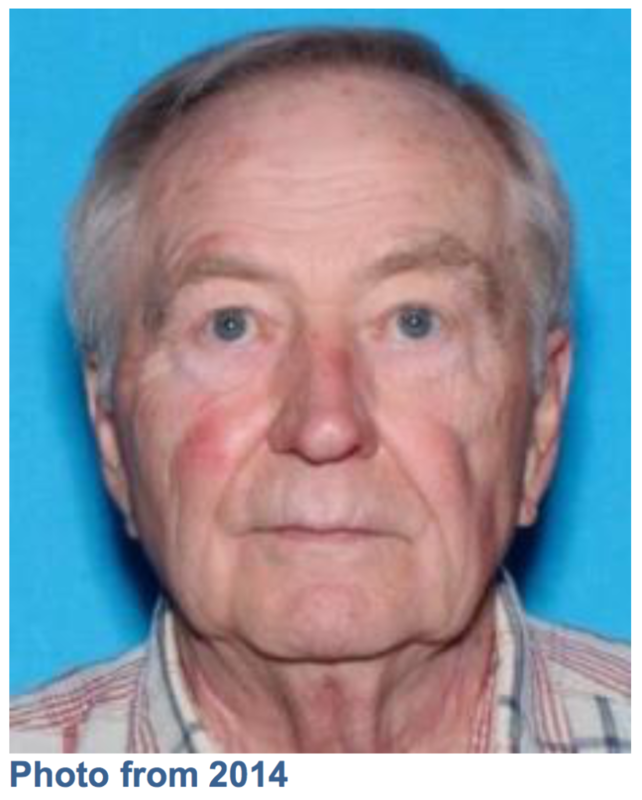 Home Health & Wellness UPDATE: Missing 80-year old man from Renton area has been FOUND safe! UPDATE: Missing 80-year old man from Renton area has been FOUND safe! UPDATE Jan. 11, 2018 5:55 p.m.: Roy T. Lange, the missing 80-year old man from the Renton has been located in Tacoma and is fine, Sgt. Cindi West told iLoveKent.net. 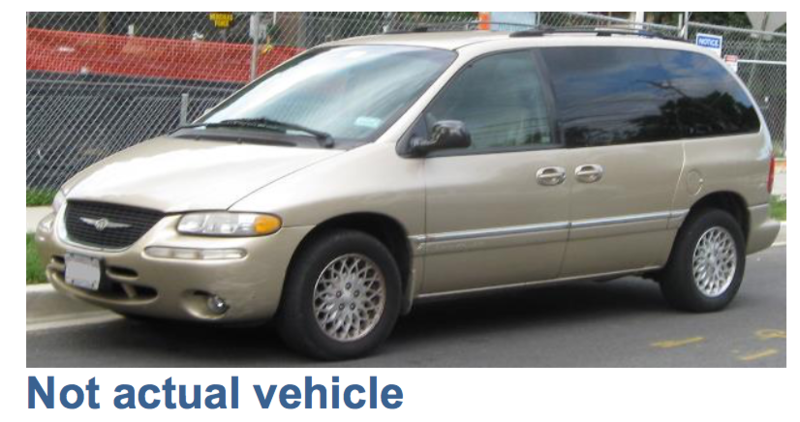 He is a white male, with gray hair, hazel/blue eyes, standing 6’ tall and weighing 190 lbs. 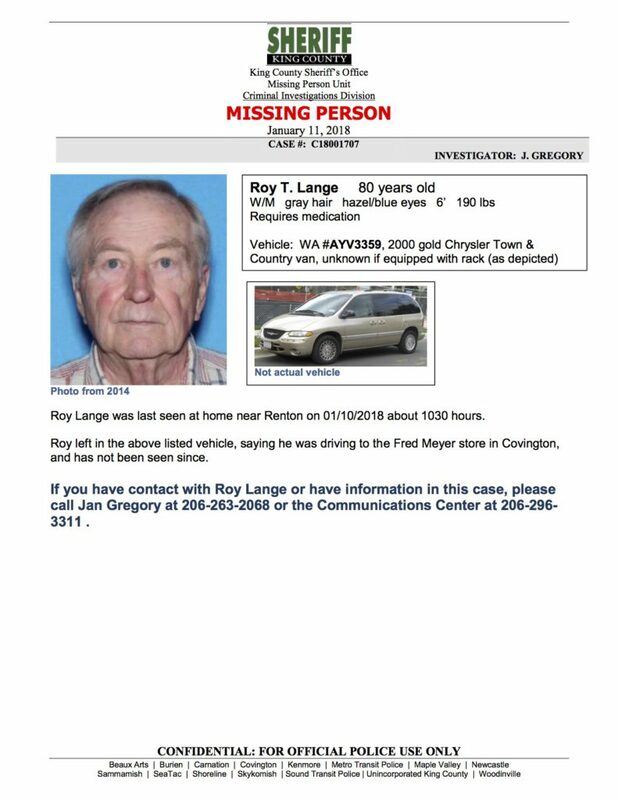 Police say that Roy left in the above listed vehicle, saying he was driving to the Fred Meyer store in Covington, and has not been seen since. If you have contact with Roy Lange or have information in this case, please call Jan Gregory at 206-263-2068 or the Communications Center at 206-296- 3311.